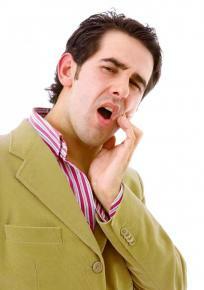 When Is Visalia Endodontics Necessary? In our office, Dr. Bodensteiner and our team take pride in providing exceptional dental care to patients of Visalia. Endodontics is one dental specialty that we feel especially proud to be able to offer right here in our office. This area of dentistry is focused around the roots and soft matter below the tooth, and most commonly, endodontics is associated with the root canal. A root canal is most likely needed when there is disease in the pulpy portion of the tooth. The tooth may appear healthy on the surface, but the roots are severely damaged. A dentist who practices endodontics, like Visalia dentist, Dr. Bodentsteiner, will drill through the tooth and extract the diseased pulp from below it. Symptoms of a diseased tooth in need of a root canal can be very vague. If you feel you are suffering from any of the above symptoms, its best to schedule a visit with your dentist for a proper diagnosis. Only he or she will know for sure if a root canal is needed. Taking care of your teeth and gums is one of the most important things you can do for yourself. If you are currently searching for a dentist in Visalia proficient in endodontics treatment, call Dr. Bodensteiner’s office for an exam today!